Discussion in 'Andy's Fashion Forum' started by ATLstyle, Feb 2, 2019. Looks like Caleres has begun to reduce the factory employee....it would appear they are taking AE the way of Johnston and Murphy. Why can't they make all those other shoes from the DR, Portugal or Italy in the U.S.?? 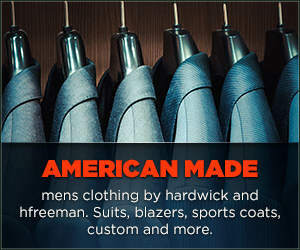 Considering how many complaints show up here about the quality of their US-made shoes, perhaps they will be able to make better shoes overseas. Right now, the price is unreasonable for the quality of the product. It used to be worth buying AE shoes at full retail, and now they are worth no more than half of the full retail price. Making shoes in the US sounds good, but in practice it has not been working out based on the products they've been producing lately. poppies, cosmotoast, Adriel Rowley and 1 other person like this. Probably less than half. I just bought a pair of Leeds 2.0 for well under $200 and they are the best quality I have seen in a few years, but I consider them an anomaly. It's too bad they're loosing their jobs. I'm sorry to hear this. Workforce reductions seem to be a growing trend in our economy these days...yes, no? Is the AE experience an exception? It used to be worth buying AE shoes at full retail, and now they are worth no more than half of the full retail price. Making shoes in the US sounds good, but in practice it has not been working out based on the products they've been producing lately. They know this. They have fully gone to the overinflated pricing scheme knowing that most people always buy their shoes on sales, which never end. It’s a stupid scheme IMO, but that’s what they do. poppies, cosmotoast and Matt S like this. I love corporatespeak. “Align” and “position” seem to be oft repeated favorites. A few years ago I realigned my purchasing habits to better position myself against crappy shoes. poppies, Fraser Tartan, cosmotoast and 4 others like this. My allen edmonds collection peaked at 7-8 with ZERO english shoes. Thanks to ebay, I have dumped almost all AEs. I am down to just a couple of crappy beaters. I find everything they have done to ruin their company disgusting and refuse to wear thier products anymore, other than for dump wearing, which is all the deserve. I am happy now to say my collection spans Crockett handgrades, Loake, and Cheaneys. And both Cheaney and Loake can be found under, sometimes far under AE retail. MNJ83, cosmotoast and Matt S like this. I left corporate America seven years ago to work for myself in part because I can't stand not calling things by their proper names. To wit, the last company I worked for use to allow you to get paid by (1) a physical pay check and stub, (2) a direct deposit but still receive a physical stub or (3) a direct deposit with an emailed stub. Years earlier, I had chosen the third choice for, I think, obvious reasons, but some people still preferred one or two. Then, the firm decided to eliminate all but the third choice. Now, we all know it did that to save money - less complexity and no paper costs. Fair enough, we also all know the world is moving in that direction. But instead of announcing it as a cost-save for the firm, the announcement said the company was giving us - the employees - a "new benefit" of being able to get direct deposit and to choose to have an electronic pay stub or not. Yup, that's what the memo said. They took away two options but called the change a new benefit. To those not in corporate America, this might sound crazy, but, sadly, it doesn't in the corporate America bubble world of consultants and BS. There, amidst the desire to make everything sound positive and favorable to the client or employee, some committee (signed off by a very senior person) - deeply lost in the dishonest miasma of corporate speak - felt it made sense to turn truth upside down and torture the English language into an Orwellian outcome that had a clear negative being called a "new benefit." As noted, it's been seven years, but I still sometimes find myself calling a mass firing a "cutback" or "reorg -" as the lexicon pathology is hard to cure. That's why I try to remind myself as often as a I can that calling things by their proper name is the antidote - simple as it sounds - to so much of what is shoveled at us from corporate America (and our politicians on both sides and our government and, sadly, our charitable organizations - so much of all of it is just doublespeak). Vmss, poppies, eagle2250 and 4 others like this. I a trying to transition to Crockett & Jones and the like for my “nice” shoes....if I can get sizing right on some Paul Stuart bluchers by CJ in dark suede I will have 2 pairs at under $350 a pair. cosmotoast and Matt S like this.